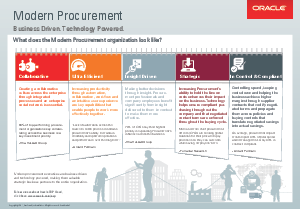 > Oracle > Modern Procurement: Business Driven. Technology Powered. Modern Procurement: Business Driven. Technology Powered. strategic business partners to the entire organization.